Chemical pollutants in our seas could lead to the disappearance of half of the world's Killer Whales in fewer than 50 years, according to a new study. Despite the first moves to ban polychlorinated biphenyls (PCBs) over 40 years ago, the chemicals remain a deadly threat to mammals at the top of the food chain, including Orcas. A new study, published in Science and involving researchers at the University of St Andrews, Scotland, and Aarhus University, Denmark, shows that current concentrations could severely deplete populations of Killer Whales in the most heavily contaminated areas within 30-50 years. Current concentrations could severely deplete populations of Killer Whales in the most heavily contaminated areas within 30-50 years. 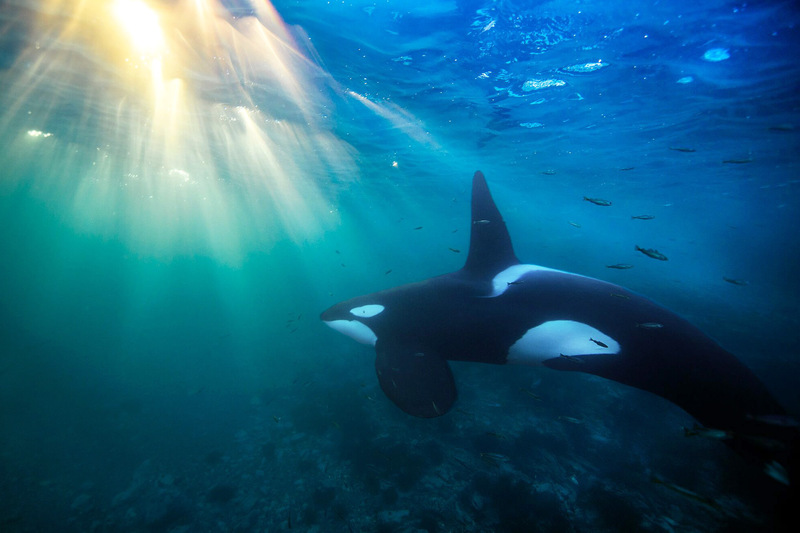 Killer Whales are among the mammals with the highest level of PCBs in their fatty tissue (blubber), with values as high as 1,300 milligrams per kilogram. Animals with PCB levels as low as 50 milligrams per kilogram can show signs of infertility and immunity problems. PCBs have been used around the world since the 1930s. Over a million tonnes were produced and used in electrical components and plastics, among other items, and have spread around the global oceans. In the 1970s and 1980s, PCBs were banned in several countries and in 2004, through the Stockholm Convention, more than 90 countries committed themselves to phase out and dispose of the large stocks of the chemicals. PCBs only slowly decompose in the environment and are passed down from mother to offspring through the mother's fat-rich milk. This means that the hazardous substances remain in the bodies of the animals, instead of being released into the environment where they eventually deposit or very slowly degrade. The team of researchers reviewed all the existing literature and compared all data with their own results. This provided information about PCB levels in more than 350 individual Killer Whales around the globe – the largest number ever studied. Applying models, the researchers went on to predict the effects of PCBs on the number of surviving offspring as well as on the immune system and mortality of species over a 100-year period. Britain's small population of resident Killer Whales is at risk from high PBC concentrations. 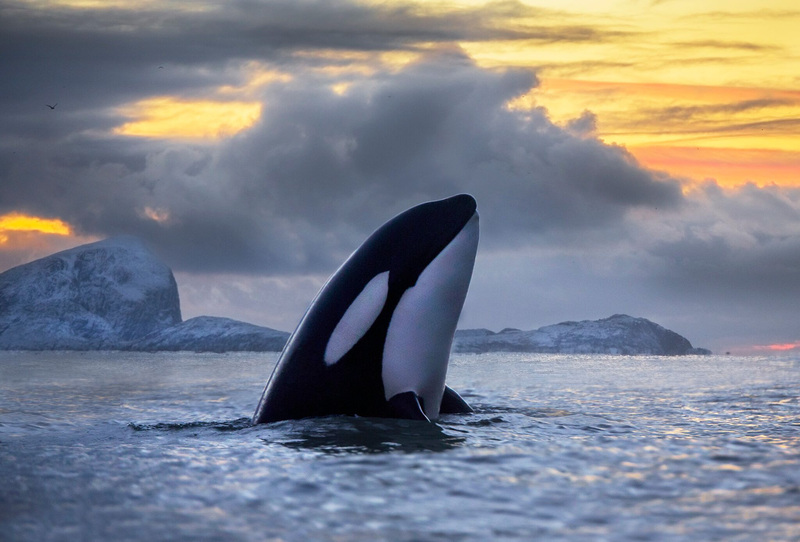 The researchers found that the number of Killer Whales continued to decline, or even collapse, among 10 of the 19 known populations of the species, due to the persistence of PCBs. A female Killer Whale can live for 60-70 years and individuals in the most-affected populations still exhibit high levels of PCBs, despite the moves to ban the chemicals as long as 50 years ago. Killer Whales are particularly threatened in heavily contaminated areas near Brazil, the Strait of Gibraltar, the west coast of the UK and along the east coast of Greenland, where they are affected due to high consumption of seals. Professor Ailsa Hall, Director of the Sea Mammal Research Unit (SMRU) at the University of St Andrews, explained: "In these contaminated areas, we rarely observe newborn Killer Whales." However, in the oceans around the Faroe Islands, Iceland, Norway, Alaska and the Antarctic, the prospects are not so gloomy. Here, Killer Whale populations are growing and models predict that they will continue to do so throughout the next century.